This PACE helps the student learn the differences between induction and deduction, learn to recognize and construct a proper syllogism, learn to validate a syllogism according to six learned rules, identify and describe six fallacies in argumentation, and to be thorough. This course is designed to aid the student in developing their writing skills. The techniques of effective writing such as introductions, outlines, storytelling, comparison and contrast, and many other features that are essential to a good piece of literature are covered. 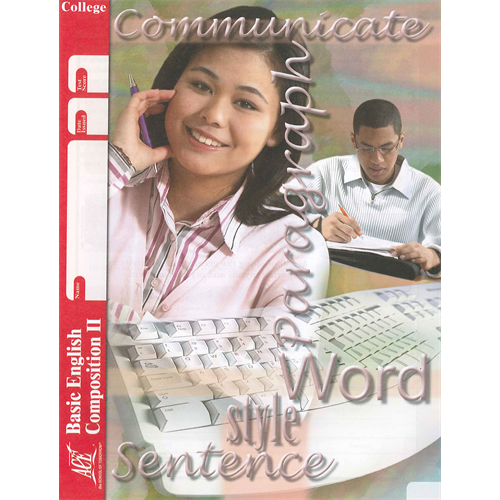 Students may take English Composition II without taking English Composition I.